Rohrer & Klingner SketchINK Lilly | Inkdependence! 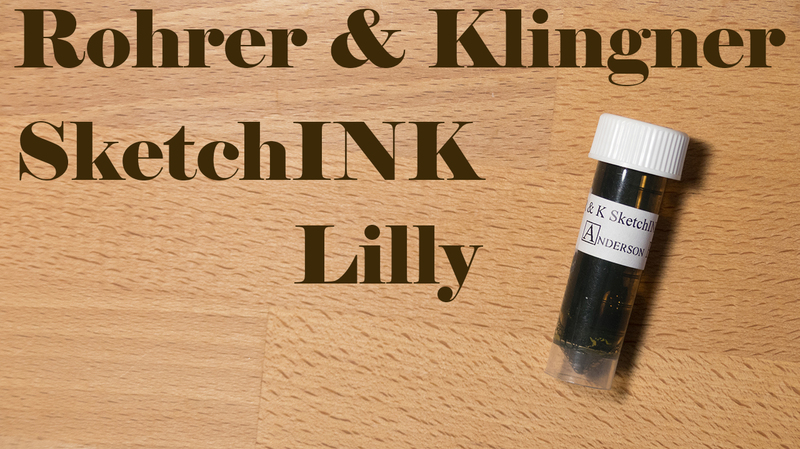 Another newcomer to the blog, Rohrer & Klingner's SketchINK series is pretty new. 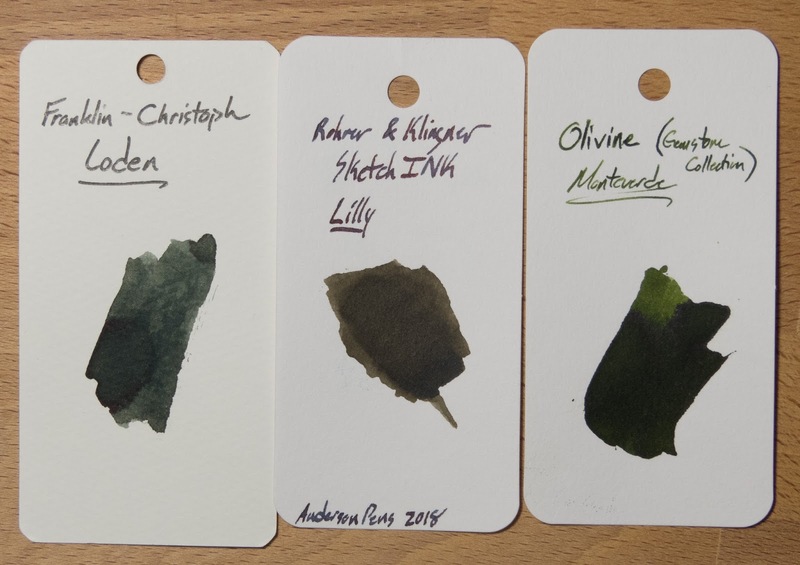 These inks are all nano-pigment inks that are supposed to have really good flow as well as being lightfast and water resistant. 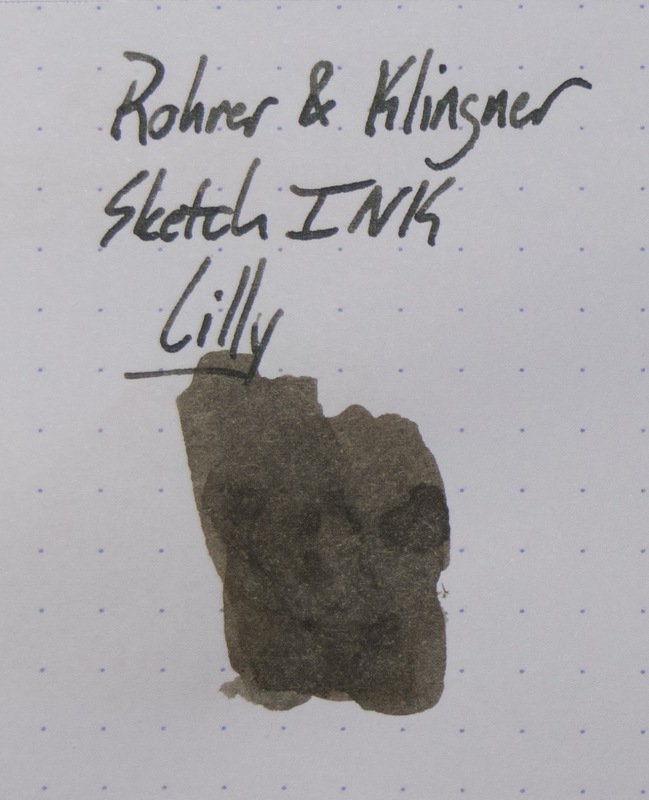 I can say that this ink is pretty wet. 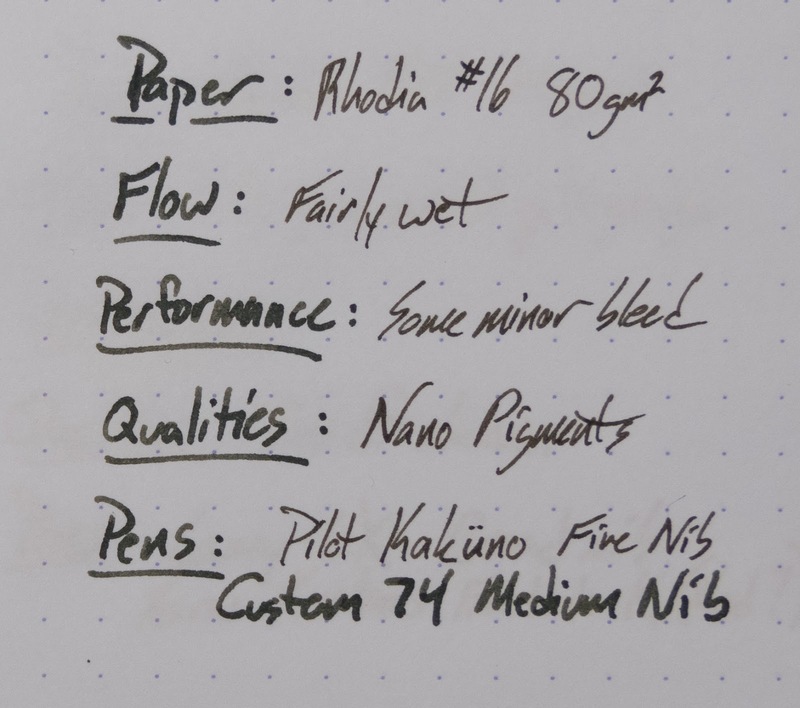 I had great flow in the Pilot Custom 74, and really nice flow in the Pilot Kakuno. I can't really test for light-fastness, but you can scroll to the bottom to see the water test. 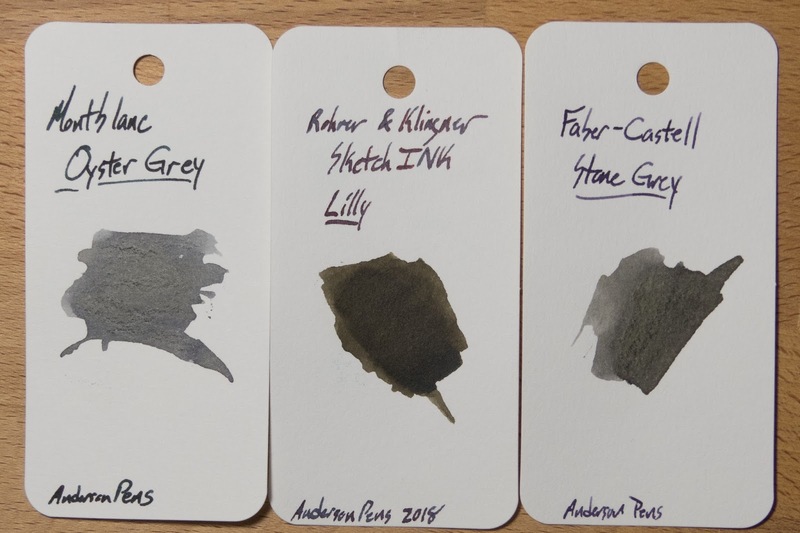 I was a little leery of these inks, and they weren't on the list of things I asked Anderson Pens for, but Lisa handed me a bag of samples that I didn't have yet, and this set was in there. Some of the vials showed a little bit of nano-pigment that had fallen out of solution, and I swirled the vial until it was all suspended again. That made me think that this would happen in the pen's converters, too, so I put it in the Custom 74 since those are really easy to clean out. When that one worked just fine for a while, I decided to really test it and put it in the very fine nib of a Kakuno. No problems at all. The only thing to be aware of is that the odd pictures on the bottles aren't all safe for work. Check 'em out. You'll see what I mean. Maybe don't take these bottles to work with you. The colors are varied and interesting, and I'm looking forward to using them all. I may have gotten a little ambitious with the smear on this one. 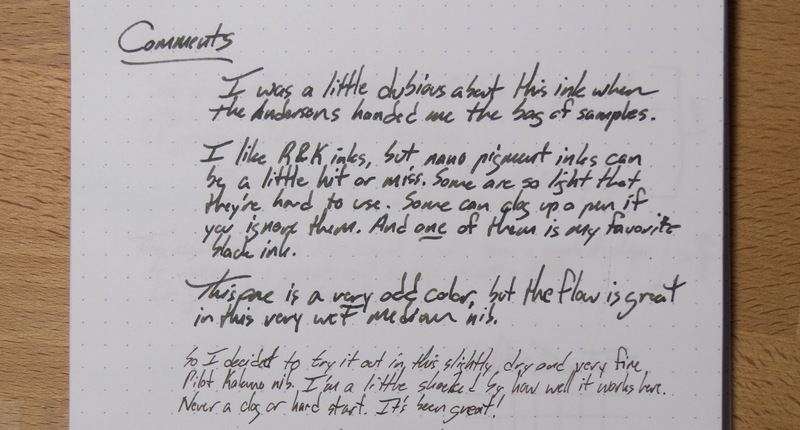 The only problem with this ink is that it bleeds when you use it in a wet pen. 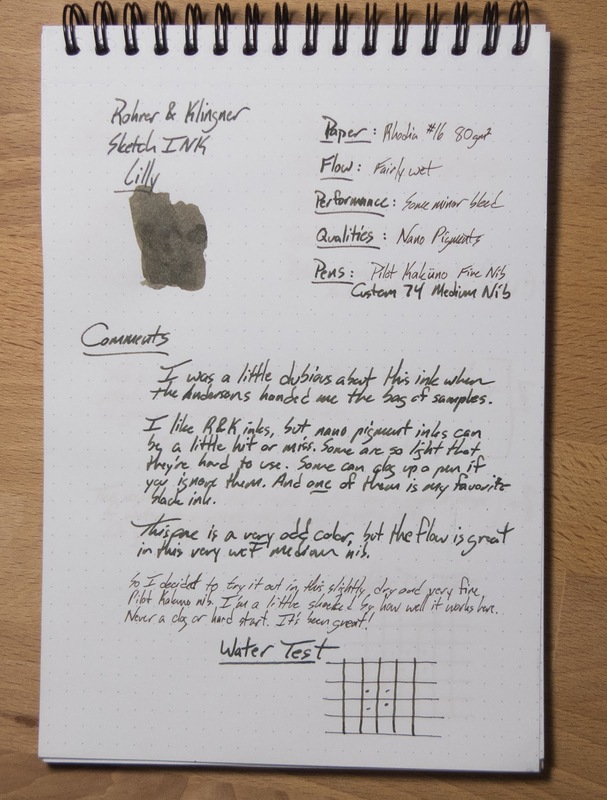 It's a pretty wet ink, and so this wasn't a great combo on this very average paper. 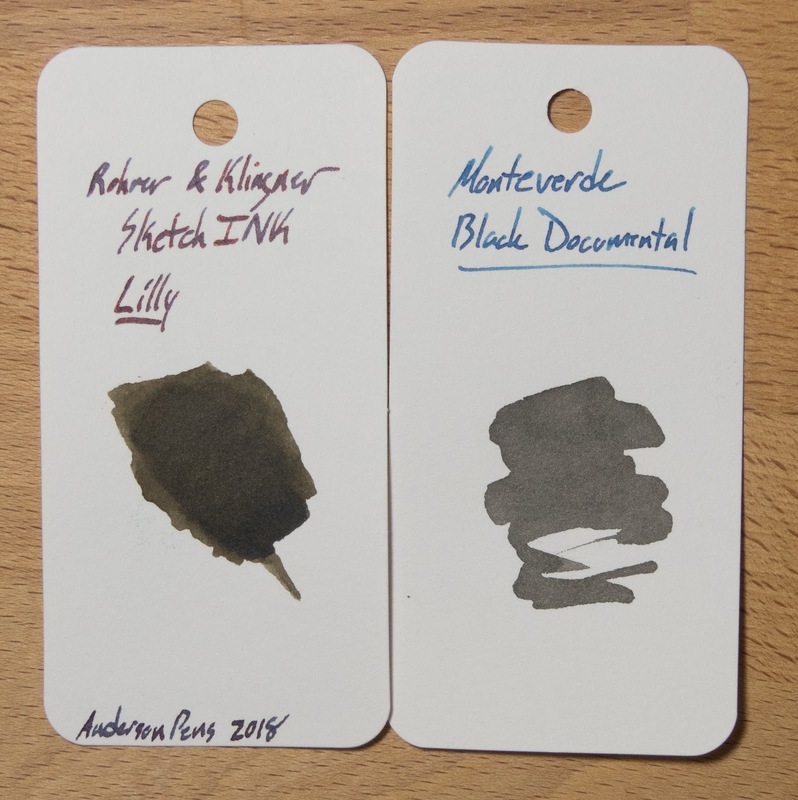 It behaved itself much better from the finer, drier nib. I think this one is pretty cool. It did make me worry about the water resistance, though. Water moved most of the green up the strip. I swear that this bottom one has had water all over it. I haven't seen water resistance like this in a long while. Maybe ever. Well done, R&K! I know that this one is supposed to be a brown, but it didn't look even a little like any of the browns in my catalog. 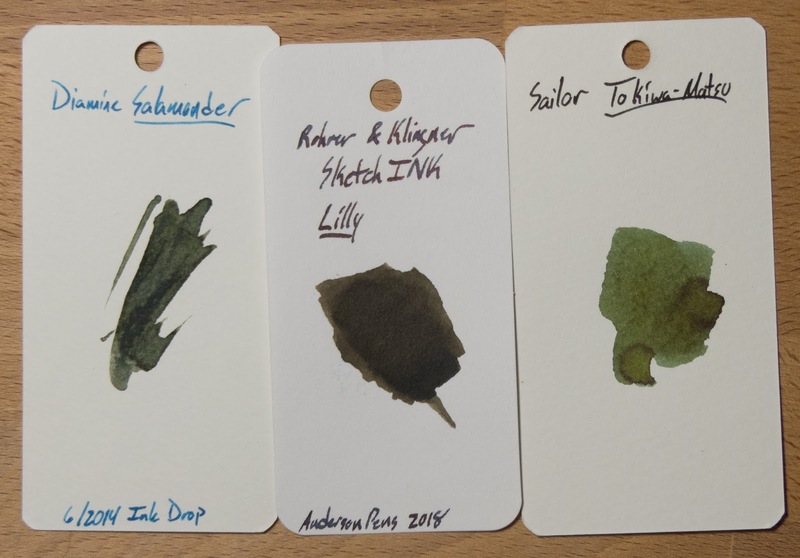 I thought it would look like Sailor's Rikyu-Cha or Diamine Salamander, but it's not even close. 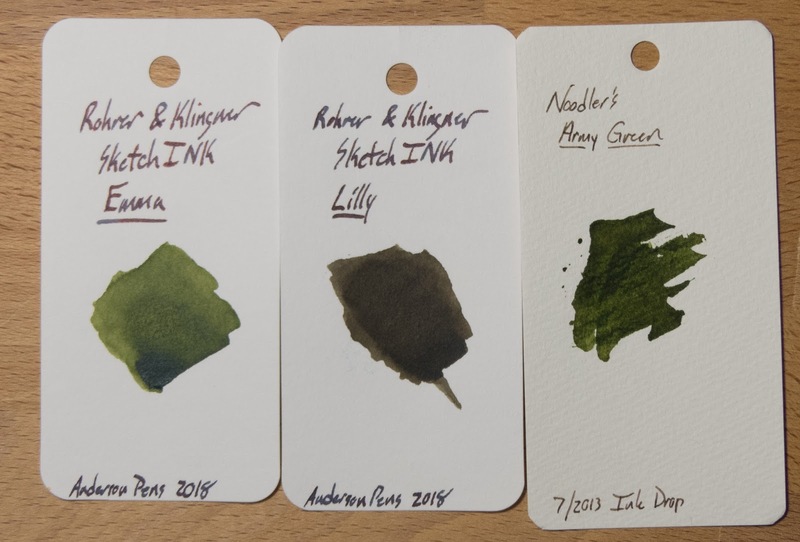 Looking back through my cards, I should have included Iroshizuku Yama-Guri, but I didn't. It's only a little close to that one. waw, they are really awesome fountain pens, those who are looking for best fountain pen, know more necessary tips here, very useful before getting your desire fountain pen. Pens are really nice. waw, they are really awesome fountain pens, those who are looking for best fountain pen, must read more tips, very useful before getting your desire fountain pen.